StepDad Asks: How do I make my Stepkids like me? | STEP-Carefully! for Stepparents! StepDad Asks: How do I make my Stepkids like me? You are not – and this is often the hard part for guys, it was for me – taking on any part of raising her children. That is her and their dad’s job. Not yours. Not at all. You should treat them as you would the children of one of your church (or club) friends: friendly, casually, but politley. Do anything the mom asks you to for them – pick them up, drop them off, offer input If She Asks. Consider their behavior as that of a neighbor’s kids’. Would you try to correct or instruct the kids who live three doors down from you? Probably not. If you see them acting up, you’d tell their parent – and then, probably only if it involved your stuff. It they were being unruly and you felt you HAD to say somthing, tell their parent (your girlfriend), but don’t try to correct them yourself. NOTE: your relationship with them as a part of their lives will not begin in any tangible way until you and Mom are married. 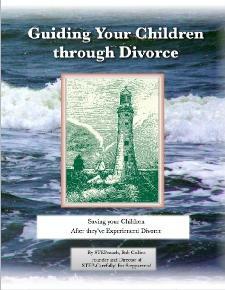 This makes a huge difference to children who have watched Mom and Dad divorce. Boyfriends are just “Mom’s passing fancy.” Stepdads (= the guy married to mom and therefore a permanent part of the family) are different in childrens’ minds. They are at once the opposition, the outsider, the invader, the unknown equation, the interesting oddity, and someone in between Mom and them. Winning them means EARNING their trust. THEY hold the keys to that lock. Eventually, a stepdad (or stepmom) will become less irksome, more acceptible, and even entertaining. Nationally, it takes from 4 to 7 years for a stepfamily to gel and start functioning as a family – sometimes longer, rarely less time. Prepare to be the third wheel with the kids for that long and your expectations won’t make you crazy. Focus your time, energy, and mind on creating a strong relationship with your wife. When the kids have grown, moved away, and have families of their own, it will just be you two. Build your marriage relationship solidly. What makes someone a “stepparent”? Our FACEBOOK Pages have lots of stuff!